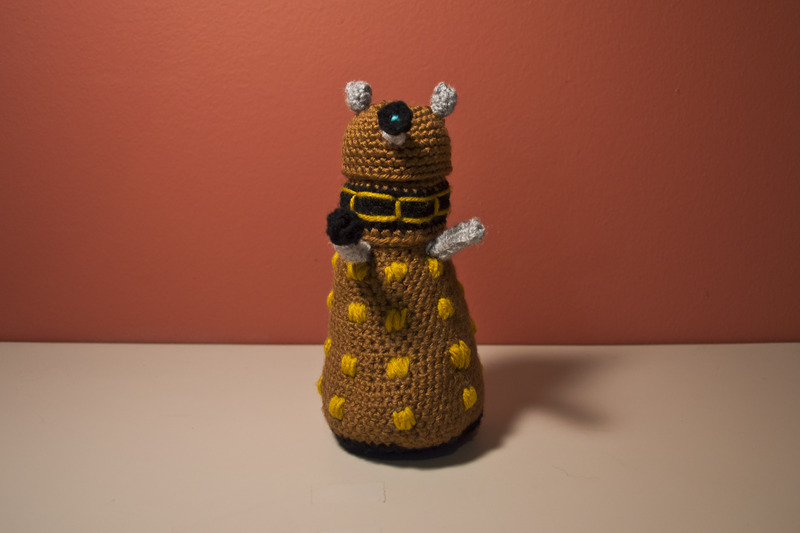 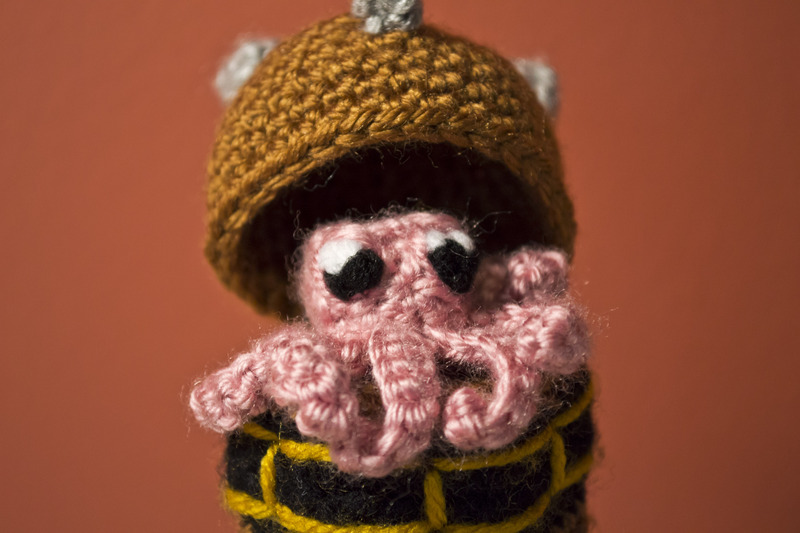 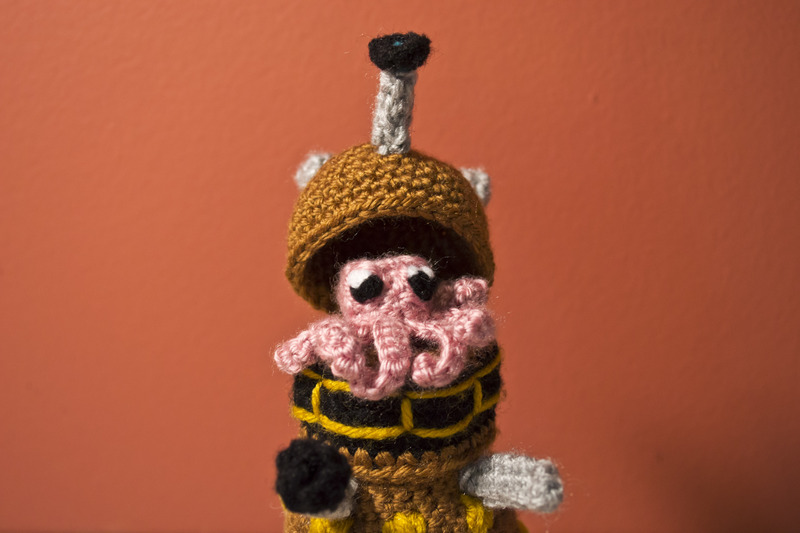 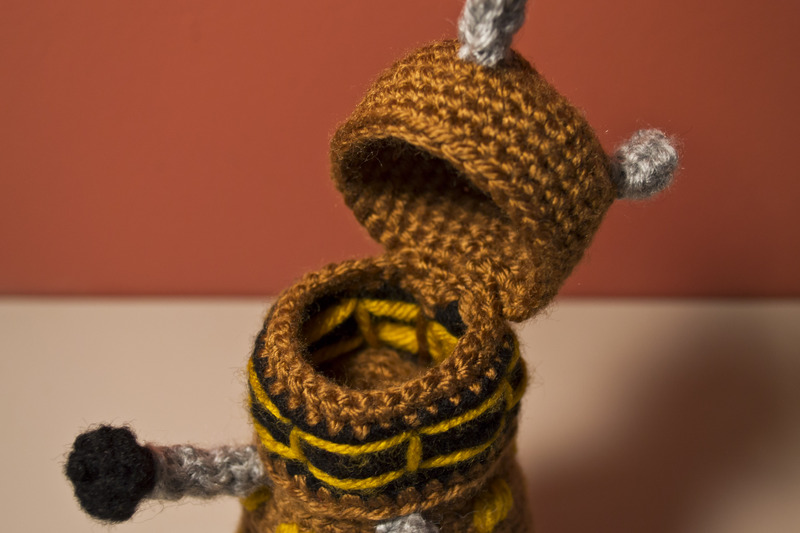 I spent a large portion of my day off working on this amigurumi Dalek pattern, and I LOVE the way it turned out. 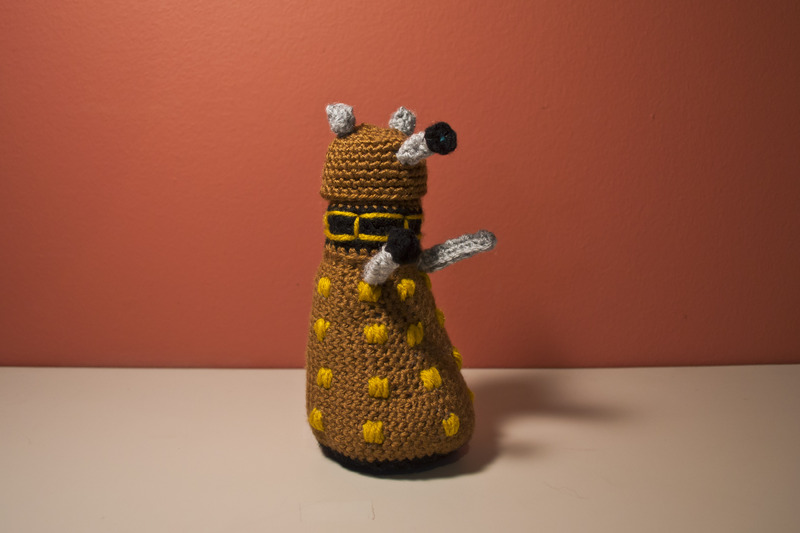 This Dalek measures roughly 7.5″ tall, and the pattern contains two different versions: one where the Dalek shell/casing opens up to reveal a “squishy little alien” (as my brother puts it) and one that does not open. 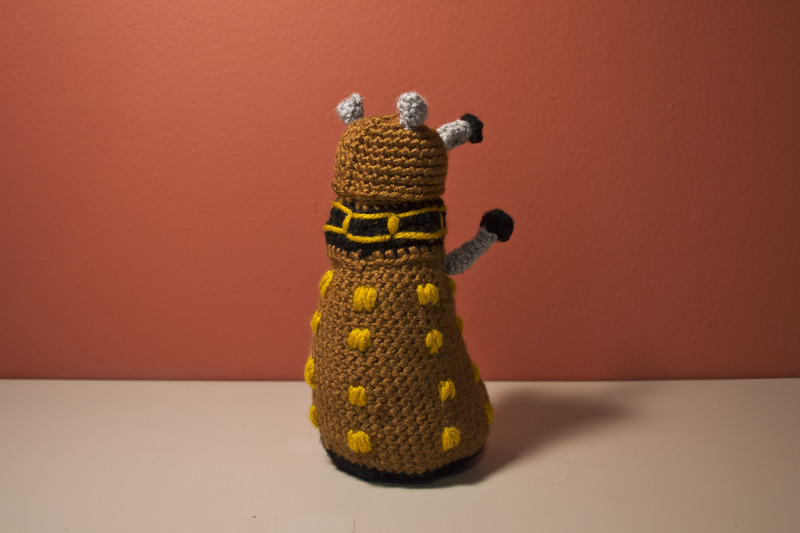 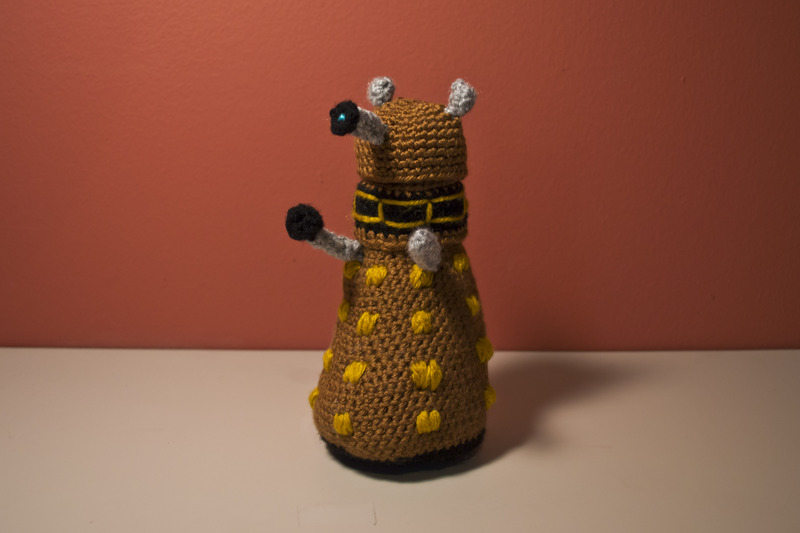 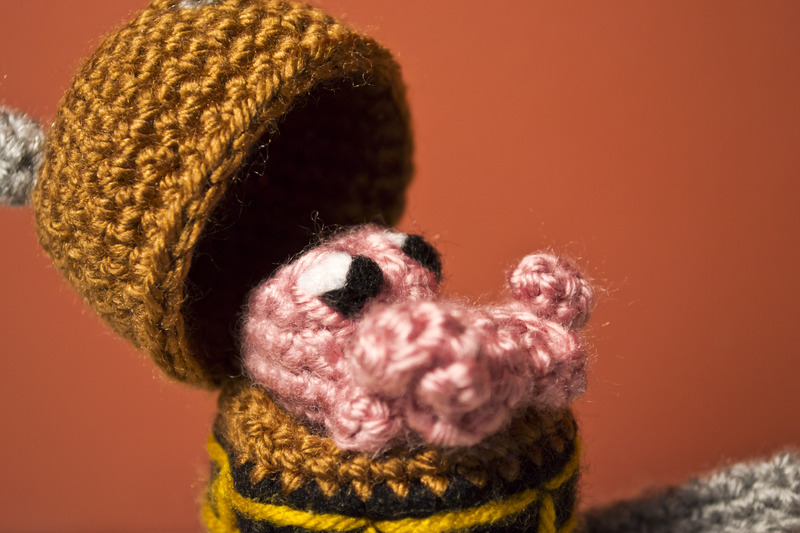 I am so in love with this Dalek pattern; it’s fairly easy for an amigurumi pattern, but it does take a little bit of time to work, what with all the different parts and all. 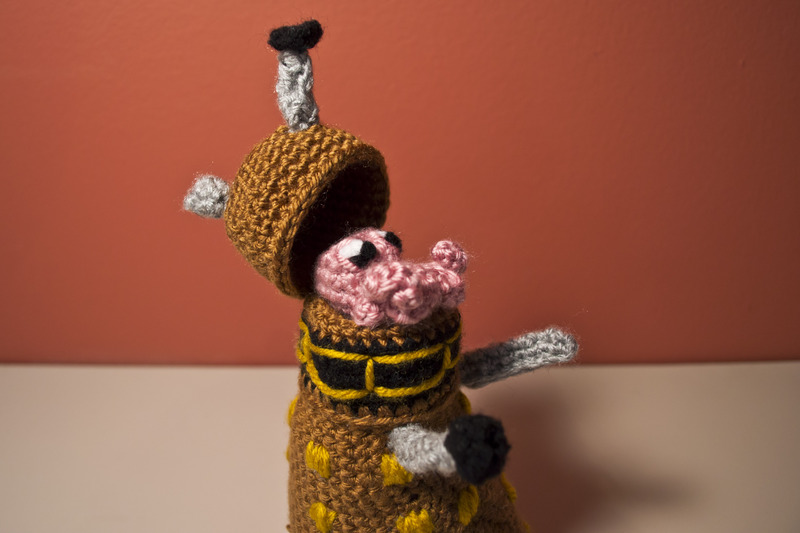 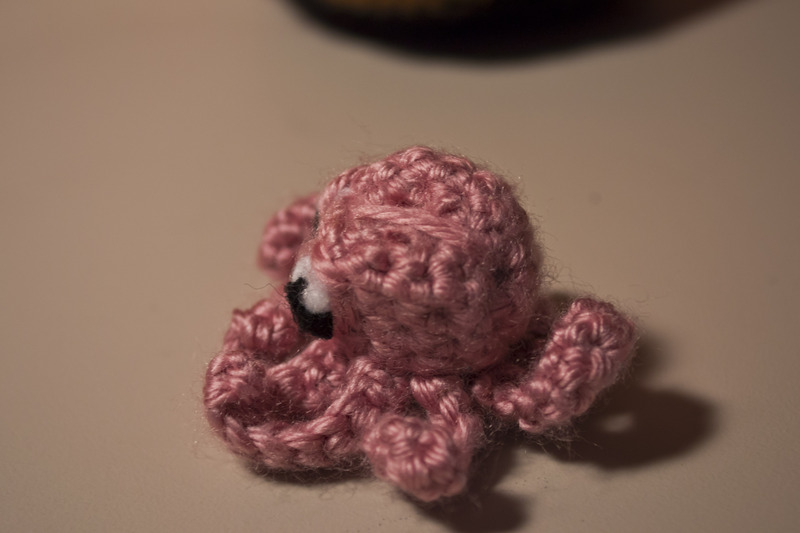 Next up is an amigurumi TARDIS. 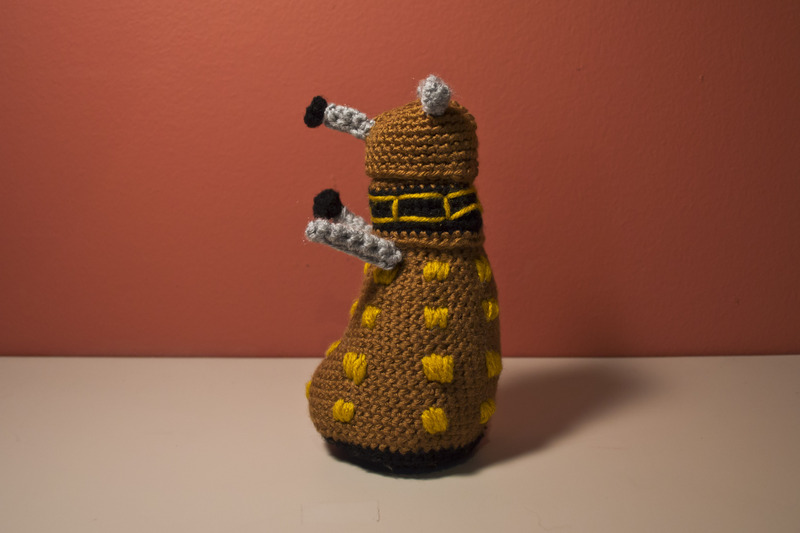 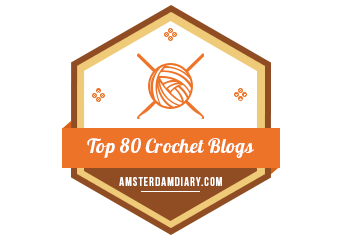 I’m anticipating the TARDIS pattern to be quicker than the Dalek pattern due to less shaping and increasing/decreasing (and no bobbles! 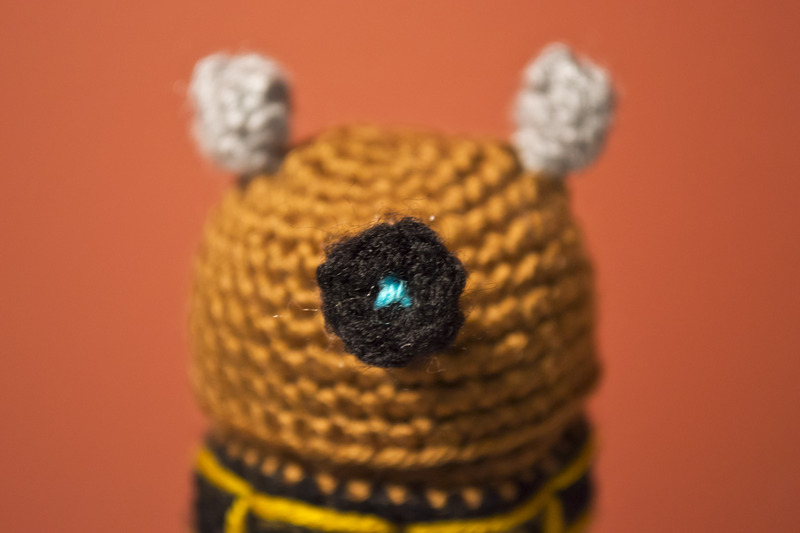 ), so I’m hoping to have that available in the next couple of weeks. 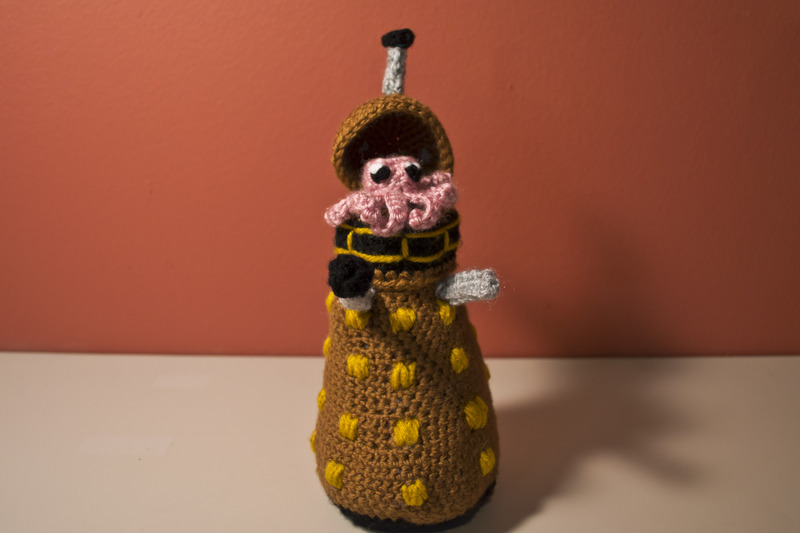 I hope you enjoy this Dalek as much as I do. 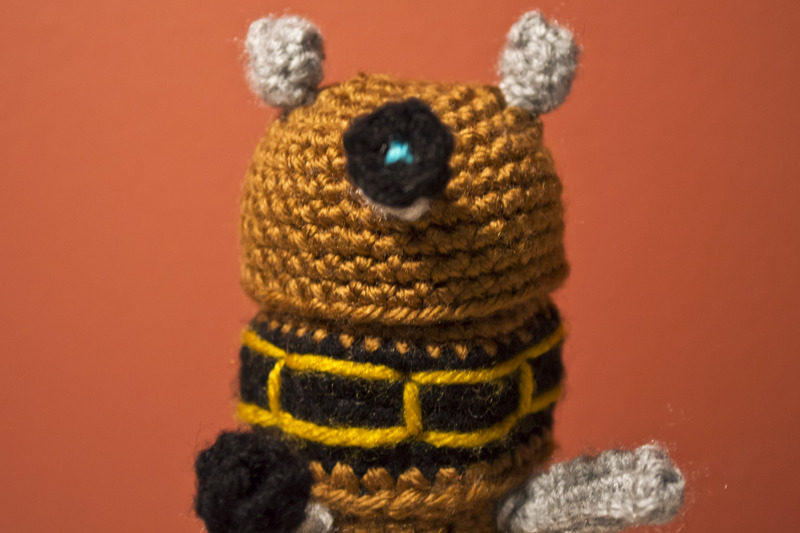 I would love to see him made up in different color schemes, so if you make one, I invite you to share photos!